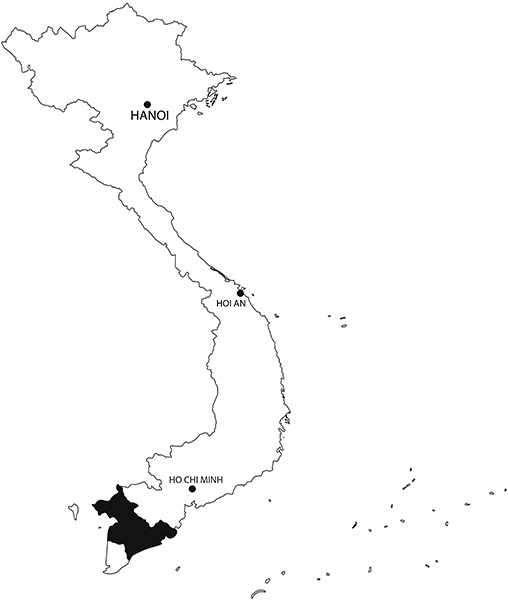 The Khmers Krom – literally meaning Khmer from below – live in the south of Vietnam where they constitute the second ethnic group of the Mekong Delta, after the Kinh. 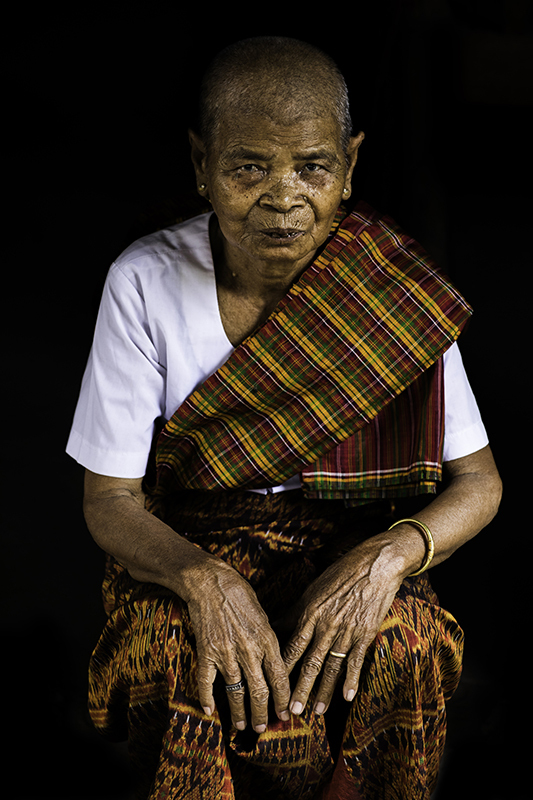 Generally speaking, it is very rare to come across the Khmer traditional costume in their everyday life. The young generation don’t like wearing it and prefer western looking clothes that they can buy from the market. Only women of over 50 years of age still wear it regularly to go to the temple, and shave their hair as a sign of respect for the Buddha. I only ever visited one village where two or three families are still able to make it. Yet, this silk costume is a true wonder, with patterns replicating Buddhist images of the temple. In the past, the Khmers produced their own silk, but they now buy it from the Vietnamese, and if they still dye yarns with coloured powders, these no longer come from the forest but from Thailand. I met Neàng Phong, 83 years old on the photo, a few years ago while she was sewing the traditional costume on her doorstep. When I went back, she recognized me, and I immortalized her on this beautiful image with the costume.